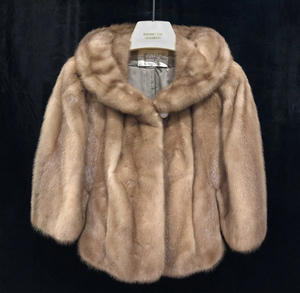 Vintage ladies, sleeveless, mink jacket from Marcroft, Sacramento. It fastens with a rhinestone decorated button. Sewn in monogram "C H G" on inside. Dimensions: 24"h collar to bottom. 17"w shoulder to shoulder. 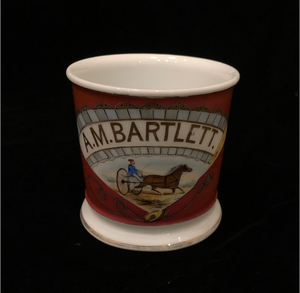 Shaving mug with a fan decorated with a horse and buggy. "A. M. Bartlett". Dimensions (overall): 3 1/2"h.
Processing and shipping within the continental U.S. $25.00 plus 1.5% replacement cost insurance. Shipment occurs on the Tuesday after payment is received. 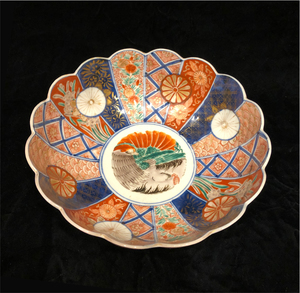 Japanese, Imari, porcelain bowl. 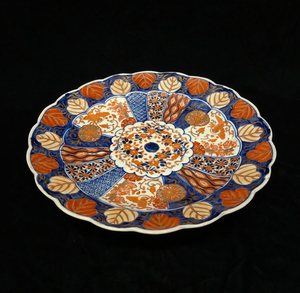 Dimensions: 4"h x 9"d. This bowl is painted with red, gold and blue glaze; decorated with butterflies, florals and pattern. Production stamps on underside. 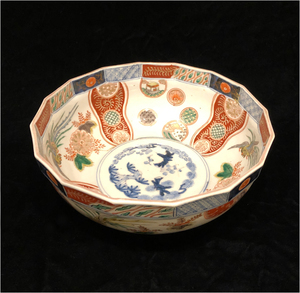 Late 19th Century, Japanese, Imari porcelain bowl. Dimensions: 5 1/2"h x 10"d at lip. 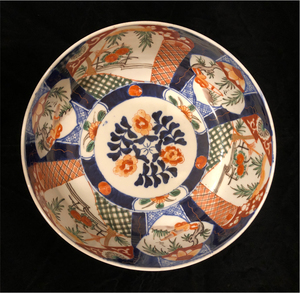 Base is 4 1/2"d. This bowl is painted with gold, blue, red and green glazes and decorated with a fox in the center and figures, pomegranates, pattern and florals. 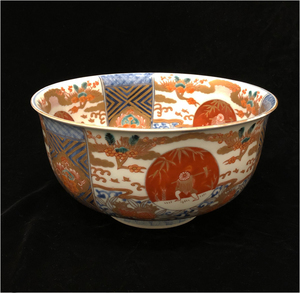 This Japanese, Imari, porcelain bowl is intricately decorated with patterns and florals with fine line and details. It is glazed with blue, red, green and gold. 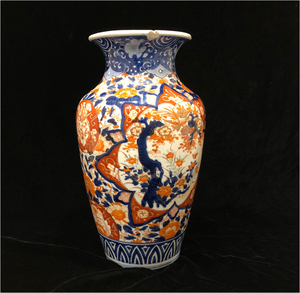 Dimensions: 3 1/4"h x 9 3/4"d.
Japanese, Late 19th Century Imari Vase. Dimensions: 14 1/2"h x 8" d. Lip is 6"d.
Red, blue and gold glazes embellish this porcelain vase, decorated with patterns, florals, birds and a forest scene. Processing and shipping within the continental U.S. $54.59 plus 1.5% replacement cost insurance. Shipment occurs on the Tuesday after payment is received. 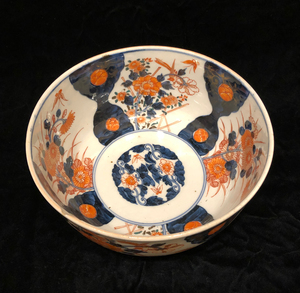 Japanese, Imari, porcelain bowl with 16 sided, angled rim. Dimensions: 4"h x 9 1/2"d. It is decorated with patterns, garden vignettes, birds and Florals. It is painted with blue, gold, green and red glaze. 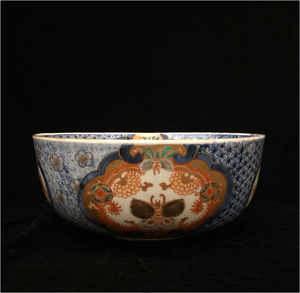 Japanese, Imari Style, porcelain bowl with angled rim. Dimensions: 4"h x 9 1/2"d. Octogonal rim and double lipped base. Decorated with patterns, florals and butterflies. Green, blue red and yellow glazes. Japanese, Imori, porcelain bowl. 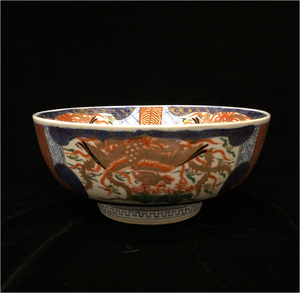 Dimensions: 4"h x 9 3/4"d. This bowl is intricately decorated with roosters, patterns and floral decorations. It is glazed with red, green, blue and gold. 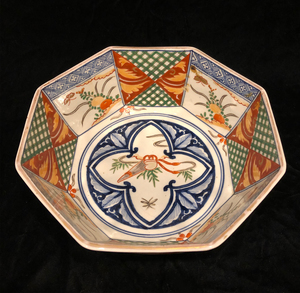 Octogonal Porcelain Imari plate with gold, blue, green and red glazes. Dimensions: 12 1/2 d x 2"h. This plate is decorated with pattern, florals, butterflies, a bird and garden scene. One necklace (18"l). 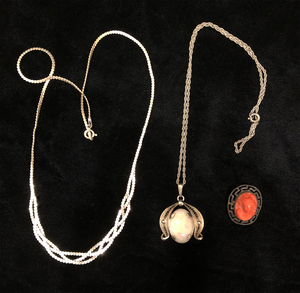 One necklace (18"l) with pendant 1"w. One orange cameo pin 3/4"h.
Processing and shipping within the continental U.S. $25.00 plus 1.5% replacement cost insurance. Please note we do not accept credit cards. Shipment occurs on the Tuesday after payment is received. One Elgin pocket watch, Dimensions: 2 3/4" x 2". 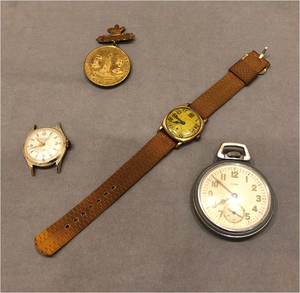 Two wrist watches, one with band, Dimensions: 1 1/2" x 1 1/4", 1"x 1 1/4"(band 8 3/4"l). One souvenir medal, Tercentenary Celebration of Quebec, 1608-1908. Dimensions: 2 1/2" x 1 1/2". Processing and shipping within the continental U.S. $25.00 plus 1.5% replacement cost insurance. Please note we do not accept credit cards. Shipment occurs on the Tuesday after payment is received. 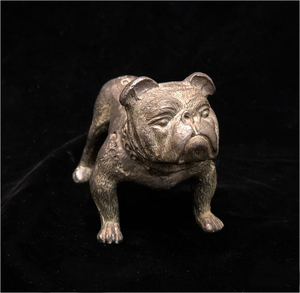 Cast Iron Segars Bulldog. 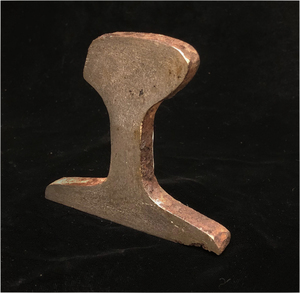 Dimensions: 2 3/4" h x 4"l x 2"w.
"John W. Merriam & Co." on collar. "Segars" on back. Track Fragment Transcontinental. 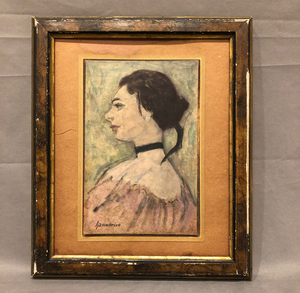 Dimensions: 3 1/2"h x 3 1/2"l.
Small portrait of a lady, pencil and oil on paper. Artist signature in bottom corner. Dimensions: Image: 8" x 5". Frame: 11 1/2" x 9 1/2". 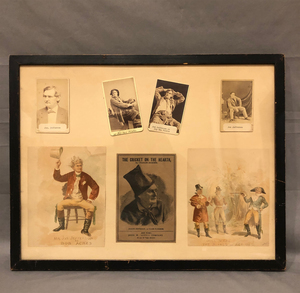 Framed collage of photographs and illustrations depicting actor Joseph Jefferson as theater characters. Processing and shipping within the continental U.S. $50.00 plus 1.5% replacement cost insurance. Please note we do not accept credit cards. Shipment occurs on the Tuesday after payment is received. Abstracted Landscape painting on paper, on board in wood frame. Signature at bottom left. 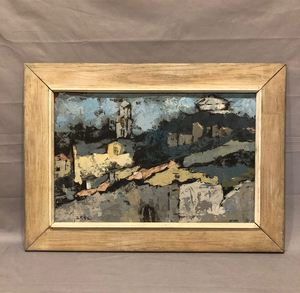 Dimensions: Frame 19 1/2" x 26". 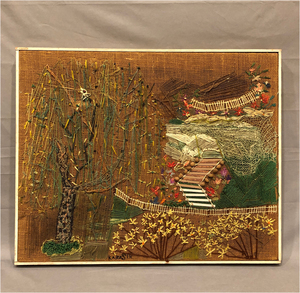 Mixed Media Piece with embroidered yarn, wood and seeds on stretched burlap in a 1/2" wooden frame. Dimensions: 22 1/2" x 27 1/2". Signed Karasik at bottom center. Processing and shipping within the continental U.S. $68.00 plus 1.5% replacement cost insurance. Please note we do not accept credit cards. Shipment occurs on the Tuesday after payment is received. Processing and shipping within the continental U.S. $88.00 plus 1.5% replacement cost insurance. Shipment occurs on the Tuesday after payment is received. 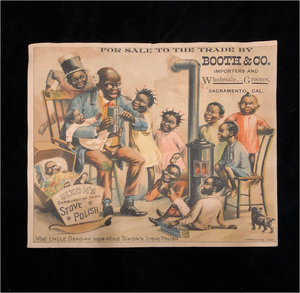 Dixon's Stove Polish Advertisement. Paper. 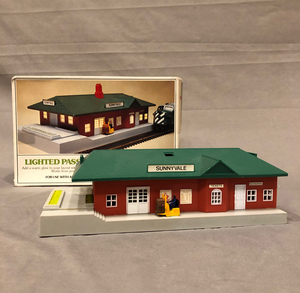 Dimensions 6"h x 5"w.
Bachmann Lighted Passenger Station. Dimensions: 3" x 9" x 5". Four Rivarossi train cars and a caboose, each with its own box. Dimensions: 2" x 11 x 1 1/2" (3 cars and caboose), 2" x 10" x 1 1/2" (one car). Two Decorative Lindberg Bottles. 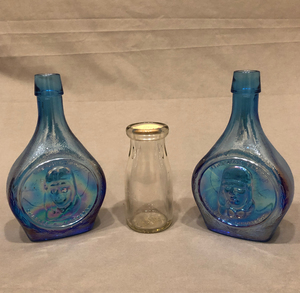 Two blue bottles are decorated with a portrait and on them written, "The Lone Eagle, Charles A. Lindberg"on the front. On the back is written, "The Spirit of St. Louis New York non-stop to Paris, France" Dimensions: 8"h x 4 1/2"w. The third is a small milk bottle from Weed, CA. It reads, "First non-stop flight across the Atlantic Ocean was successfully completed by Charles Lindberg." Dimensions: 5 1/2" x 2 1/2". 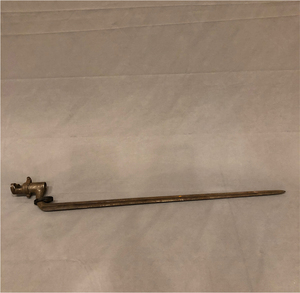 Russian Bayonet. dimensions: (overall) 23"l.
Sigma-XQ Filtermatic 24mm F2.8 for Nikon. Lense No.217278. 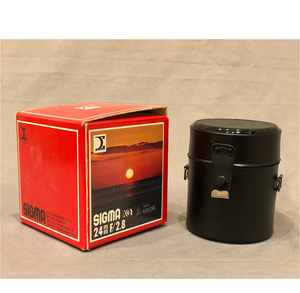 Includes Sigma perfect hood, original case and original box. Processing and shipping within the continental U.S. $25.00 plus 1.5% replacement cost insurance. Please note we do not accept credit cards. Items will be shipped the Tuesday after payment is received. Anscovision 388 Dual Automatic Load Super 8 Film Projector. 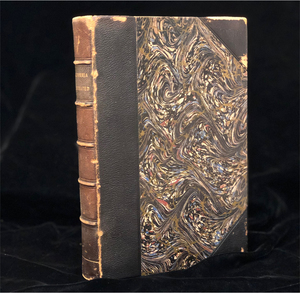 serial # 6176. Includes film reel, cleaning brush and threading/rewinding instructions. Processing and shipping within the continental U.S. $55.00 plus 1.5% replacement cost insurance. Please note we do not accept credit cards. Shipment occurs on the Tuesday after payment is received. 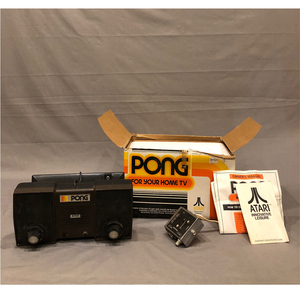 Pong Atari FCC. 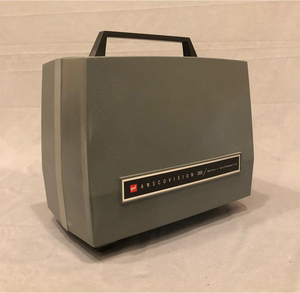 No TV-174 Model # C-100. Game console in original box and packaging. Includes owners manual, warranty registration card, game cable and switch box with twin lead to T.V. antenna terminals. Processing and shipping within the continental U.S. $55.00 plus 1.5% replacement cost insurance. Please note we do not accept credit cards. 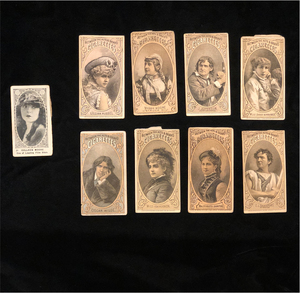 Lot of theater themed cigarette cards dating from 1880 to the 1920s comprised of: Thos. H. Hall Cigarette Cards "Between the Acts and Bravo" (N342) Series of Actors and Actresses from 1880 (including Oscar Wilde, Lillian Russel, Sarah Bernhardt, Ida Vernon, Maggie Moore, Henrietta Chanfrau, E.L. Davenport, and J. Jefferson); Little Cigars "Between the Acts" (T108) Theatre Series from 1910 (including Princess Theatre, Old McVicker's Theatre, Lyceum Theatre, The New Theatre, Colonial Theatre, Burton's Chambers Street Theatre, The Valencia Theatre); Little Cigars "Between the Acts" (T25) Actors Series from c. 1910 (35 cards total); and a trading card from the 1920s featuring a photograph image of actress and film star Colleen Moore. These cards are ungraded. 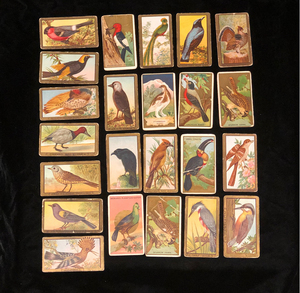 Lot of two different "Birds" Series cigarette cards T42 and T43 dating from 1910-1911. These cards were issued by a number of different cigarette companies, including Mecca, Sweet Caporal, and Piedmont Cigarettes. This lot includes 50 cards out of the original set of 100 T42 Bird Series that was issued (comprised of 1 Piedmont card, 11 Sweet Caporal cards, and 38 Mecca cards). It also includes 5 cards out of the original set of 100 T43 Bird Series that was issued (all Mecca cards). The T43 cards are distinctive because of their decorative gold borders. There are a total of 55 cards in this lot. These cards are ungraded.